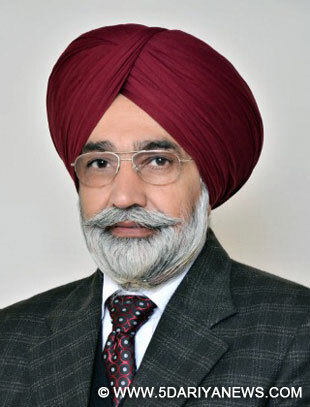 Punjab Rural Development & Panchayat Minister Sikander Singh Maluka today directed all the Block Development& Panchayat Officers (BDPOs) to ensure total sanitation of one village each of their respective block to culminate weeklong Swachh Panchayat Saptah on the occasion of Gandhi Jayanti i.eOctober 2, 2014.He pointed out that our country was striving hard to achieve cleanliness and by creating a ‘Swachh Bharat’ we can pay a befitting tribute to the Father of Nation, Mahatma Gandhi on his 150th birth anniversary. He said that during this weeklong sanitation drive the major focus was remained on formation of village level committees with further emphasis on cleaning of houses, inpidual domestic hygiene, cleaning and maintenance of animal shelters, roads and markets, public places, water bodies and water sources and cleaning and removing blockages in the drains. He further said that on 2nd October Special Panchayat meetings should be held to discuss sanitation.He further said that this campaign would prove to be a launching pad for National Sanitation Campaign, which would continue till 31st October.Meanwhile, he also appealed to the residents of villages to play proactive role in sanitation campaign to ensure cleanliness of their respective villages and make it part of their routine life keep their surroundings clean and green.